Mark J. Welch, CPA, CTP is a Principal at MorrisAnderson based in Pittsburgh. He has over 20 years in bankruptcy and restructuring experience especially in leadership roles and fiduciary positions with clients. 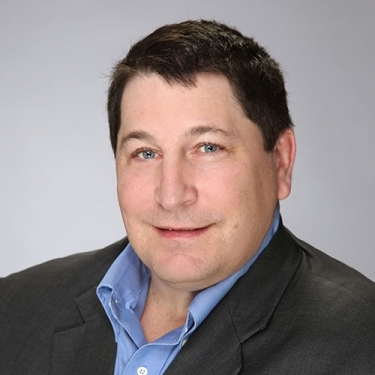 Prior to joining MorrisAnderson, Mark was the Director of Internal Audit at Southern Air Transport, Inc., a mid-sized cargo air-transport airline. He also spent eight years with the Office of Inspector General for both the Federal Deposit Insurance Corporation and the Federal Home Loan Bank Board. In that capacity, he specialized in fraud investigation, lost prevention, large bank assistance agreement transactions, liquidations, inventory audits, due diligence reviews, information systems audits and congressional inquiries. Mark is a Certified Public Accountant (CPA) and a Certified Turnaround Professional (CTP). He is a member of both the American Institute of CPAs and the Turnaround Management Association. Mark earned a degree in Accounting from Indiana University of Pennsylvania. Mark has held interim-management positions as a CFO, CRO, CEO and Financial Advisor with underperforming and bankrupt companies, and has optimized recoveries in liquidations, receivership, and bankruptcy sales. He has specific expertise in environmental resolution, bankruptcy, forensic accounting, cost reduction, asset recovery, restructuring plans and liquidation. He has also testified in state and federal courts as an expert witness, prepared fraud cases for the government and testified in bankruptcy court. Mark’s recent experience has spanned a wide variety of business sectors, including the automotive, aerospace, construction, plastics, Heavy Equipment, transportation, and environmental remediation cases. Successfully restructured and remediated a large chemical processing company through closure with government regulators and bankruptcy court. EPA remediation was self funded and compliance obtained through reorganization plan approved in bankruptcy court. Successfully restructured through reorganization and transaction a large Oil and Gas provider. Guided station closure with regulators and other environmental compliance for the transaction. Results mitigated potential losses to stakeholders and security interests. Successfully reorganized and restructured a large crane company with secure debt in excess of $90 million. The company emerge from bankruptcy with reduced debt, cost structure and has returned to profitability. Successfully served as an accounting expert to defend against $5 million working capital claim for a client. Formulated the theory and defended the conclusion that eliminated the claim and allowed the company to retain funds. Successfully increased sale value of a heavy equipment company by disputing value allocation of the buyer and proving error in calculation. Increased return to stakeholders in excess of $2 million.